Sash windows are a striking period feature which makes any home stand out. 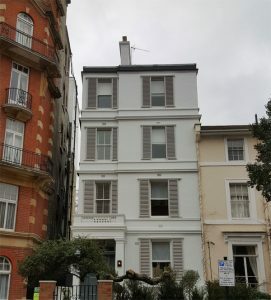 In London, it’s particularly common for the Edwardian, Georgian and Victorian homes to keep their original sash windows. Although they are incredibly attractive, sash windows do require careful maintenance in order for them to remain this way. If you notice any problems with your sash windows, you should act quickly and enlist the help of trained professionals to prevent the problem from worsening. At Repair a Sash, our experienced craftsmen are able to offer you a full range of services for your timber sash windows. Our services include: Draft proofing services, sash window repair services and sash window redecoration services. To obtain a quote please contact us or call 07511 890 440. We are specialists in sash window renovation, but we will only recommend them to you if we believe they represent a good long term investment. If your windows or doors are beyond repair we will always recommend partial or full replacement. If your sash windows have fallen into a state of disrepair, we offer a full range of Sash Window Repair services throughout central London. Our expert team are experienced in taking care of problems with Georgian, Victorian and Edwardian sash windows. No job is too large or small for our team. 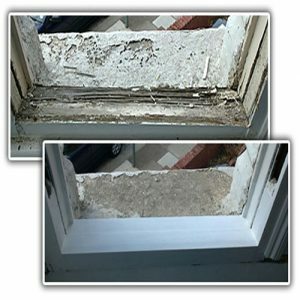 We can undertake repair work to fix broken panes of glass and replace rotten wood, which is a common problem found with older sash windows. We can also carry out improvement works to repair broken cords, locks and ironmongery. This can help to improve the security of your home, giving you peace of mind. Additionally, if you feel that your home is losing a lot of heat through your current sash windows, we can replace your inefficient double glazing which will help your home to feel warmer and save you money on your electricity bill. Over time, sash windows can become worn and damaged. Weather conditions, humidity, lack of proper maintenance and simply age can all lead to your sash windows requiring some more sizeable repair work. If you notice warning signs such as warped frames, sticky or rattling windows or draughts it might be time to consider some renovation work. Our professional craftsmen can offer you a complete renovation service for your sash windows, which can restore their original condition and save you the cost of replacing your windows with new sash windows. Traditional sash windows may look very appealing but they can be responsible for your large energy bills. If you’ve noticed that your house is draughty and think that your sash windows are the cause, our draught proofing services can help bring them into the 21st century. We use a discrete, non-restrictive draught seal around your existing window frame so the appearance of your sash window isn’t compromised. The seal can also reduce the amount of rattling and ensure the smooth-sliding of older windows. Our technicians can transform even the oldest sash window to improve their ability to retain heat. This will improve the ambient temperature of your home noticeably, so you’ll find yourself reaching for the thermostat less often- especially during the colder winter months. Sash windows require a lot of careful maintenance to keep them good condition and retain their aesthetic appeal. 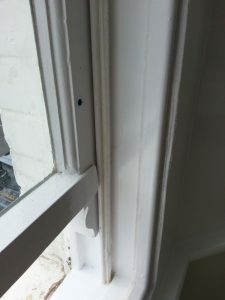 Regular painting is just one of the steps needed to keep your sash windows working effectively, bad paintwork jobs can lead to problems such as windows sticking, joints failing, putty loss and your frames rotting. Over time, this could reduce the value of your home. At Repair a Sash, we offer a specialist timber sash window painting service which will ensure that your windows are painted correctly with attention to detail. When it comes to decorating your sash windows there are many choices to make. We understand that most people want to their sash windows to fit in with their existing décor, so we’ll work with our customers to ensure the result they desire is achieved. All of our work and materials are guaranteed, so you can trust us to provide you with a long-lasting, high quality finish. Contact us for a FREE Quote or call us on 07511 890 440.